After a decade of pleading my sister has joined the business! 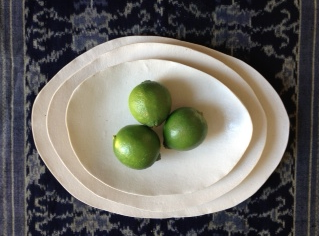 I am absolutely thrilled to have her gorgeous work and awesome sense of style be a part of the Park Slope Pottery. Hooray for sisters! 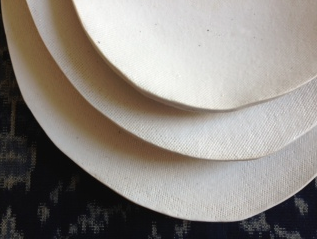 Above are three of her beautiful porcelain plates and platters with canvas texture on top and burlap on bottom.